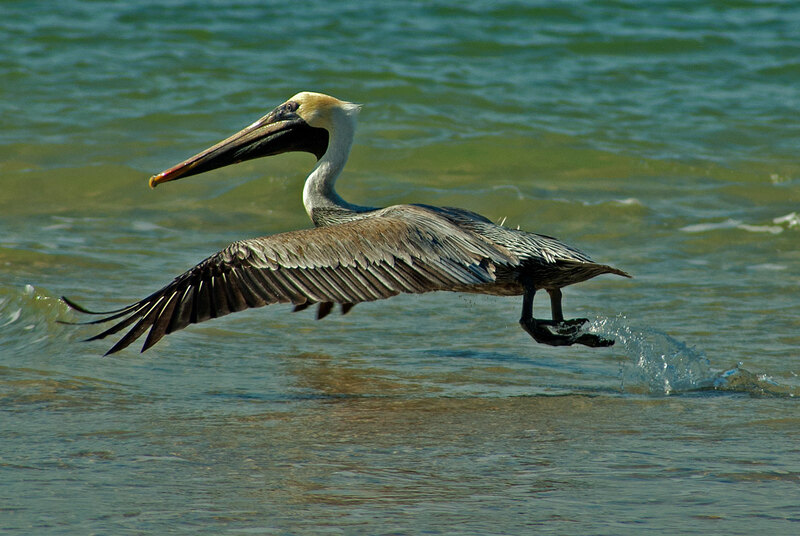 This brown pelican is taking flight from the waters of Ponce Inlet near New Smyrna Beach. They must be incredibly strong to take flight from sitting in the water with just a couple of wing beats. Smaller birds such as moorhens and coots have to get a running start across the surface of the water in order to achieve this. On most days the water at Ponce Inlet is so clear that the fish don't seem to have a chance against the pelicans and ospreys that frequent the area.